"Will not you go see the north side of this mountain?" Aki said. "It's a running landscape with mountains, valleys, hills and big meadows." "I seem to like running, it looks interesting," Takako said. The two rushed down to the mountain ranges of the east running down like flying the slope on the north side of Oyama. There was a big rock roaring around there. "Here the mountains around here are made of rocks, the trees lay down the roots into rocks, as Aki runs while running as running through the gaps between the rocks, creating a forest to wrap the rock." "Is there a rock human being?" Takako said. "Oh, you mean race derived from minerals, they live on the continent, in the interior of the continent, in rocky and sandy places," Aki said. "Of course, they are very nice people," Aki said. The two arrived at a hill that overlooks several hills and overlooks a large meadow. A big rock was rolling over there in the meadow. There are rocks buried in the earth and only a part of which is on the ground. The wind is shaking the entire meadow. The grass grows as a big wave and runs toward the leeward. It seems that an invisible dragon is flying. It rides on the swell of the wind and pretends to lick a big body. "The dragon becomes a particle and gets on the wind," Aki said. "What constitutes a dragon is" light "... pure light"
"It's a mysterious world, but I feel like I can understand that feeling, which I had not thought of before, but I feel like I can understand your story," Takako Said. "I can not understand it with my head, because it's a world of mind, only intuition is reliable." "It is a pity that our world is a world of the head, I am sorry, I do not talk much about my mind, but I do not have much to say about educational background, work experience, honor, power, ... ... I can not say things like that, but to compete and live It is learned and it becomes a system that can not survive if it does not work, and it is called common sense "
"It's totally a head-of-the-world, but the surface layer is so, but how is the backside? 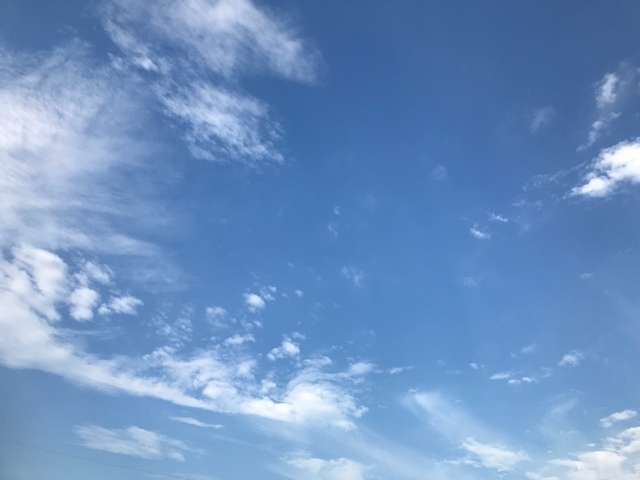 How in your heart is there always there is something you feel in mind, this world is the world that it was a surface layer"
"It looks like the world of children," Takako said. "A may be," Aki said. "Let's run on the meadow"
As I said so, Aki ran down the hill and headed to the meadow. Takako was feeling great pleasure in running just following him. I thought it was like a dog. I wonder if they are always soaked in such pleasure. "There is a river and there is a bigger meadow if you cross the hill," Aki said. "Even if it is not just grasslands, hills and mountains are fun," Takako said. "Prairie can run the fastest, I love to run soon," Aki said. There was a big river. "This river can not fly at a stretch, flight aiming at the middle, fly, kick the bottom of the river and fly once again," Aki said while running and flew. Takako stopped running and observed the movement of Aki. Aki jumped in the middle of the river, and after a while it splashed splashfully and jumped out of the river. I beckoning Takako on the other side. Takako flew with a bit of runaway. The sense of jumping into the water was a little mixed with fear. When I jumped into the river, I was about to be thrown by overwhelming water pressure at that moment. I felt the bottom of the river and kicked hard. The body jumped up to the surface of the water so that it could be flipped by something, but it seems that he jumped right above and fell into the river again. Next time I kicked the bottom of the river toward the other side confirmed before falling into the water. The jumped body fell on the other side of the grass. Aki, who came running around as "good, is not it" said. "It was difficult, I did not think there was a flow"
"Although it was my first time, it was a great deal to have crossed over with two jumps, and leg strength was also a big deal," Aki said. "This body is very nice," Takako said. "But why did you bring me to this world?" Takako asked. "There was something I wanted to know," Aki said. "I wonder, I wonder about my darkness"
"There is that, or it's connected," Aki said, sitting next to Takako. "Shiki is losing her voice, your planet is also that it is losing its radiance - a trial will always come before change - the time of turbulence will come, you guys You have to survive, otherwise you will really be ruined, "Aki said. "It's not calm, does not it mean that everything goes well?" "Well, before that, the shiki changes dramatically, the vibrations are conveyed to you.Whenever something changes dramatically, the worst trial will always come.You have made various trials of life make you stronger and smarter Deaf, the same thing happens to the shika. "What is the specific thing that the worst trials come to shiki?" "For example, your shiki's ecosystem has already crossed a line that can not be recovered already, and extinct species are in the world of tens of thousands in a year, and the number is increasing more and more. High-level consumer, my feet are broken. " "Is ecosystem destruction so dangerous?" "Ecosystem is a circulation system of life, all species play a role, there is no uninvolved seed, and if the circle circle is broken somewhere, there is no choice but to return I can not go back to it. " "There is no such information on the earth ... There really is not any information anywhere." "I guess you do not know anything unless someone else tells you, even if you think of it yourself, it seems that you do not know if it is something somewhere you do not know if it is right, this is it! Even though I was inspired, I do not believe my intuition. "I am accustomed to listening to someone's things, I feel a pleasure even to obey someone's decisions, even the decision-making power of my life has been deposited with others," Aki says It was. "In my world I think that there is a root of that problem in school education." Putting a sense of competition and obsession awareness, this is not the essence of current education "
"Good and evil are always with you.In the world of yourself as well.Don not give the decision right of my life to others.The soul is not true if it is not always shining.It seems like to eliminate that shine There is energy, for example, there are no artifacts in this world, everything created by nature, substance is an illusion, a vision created by human beings That's how your world is made up. I'm just watching the vision. " "What do you think is reality is a vision?" "Yes, can you believe it?" "I can not believe it, the substance touches my hands"
"Of course, it's a realistic vision, but it's not something I want to say, but most people have not noticed it even though an extra-large pinch is coming in. Man can live a life I want to live more and more I am losing power.I have lost the ability to make my dreams come true I have not been able to get real love and happiness.If you like some rules, I give up from a dream before I have a dream, It is believed to be worthless - there are no worthless people, it is time to wake up and you guys regain the voice of the shiki "
"How can we get back the voice of the power wishes?" "The question is no longer good, I think that I can not do such a thing, I can do whatever I want to do, I do not believe it because you guys can only save the shiki"
"Does such a thing come to us?" "Of course I do," Aki said.